Ornithine Decarboxylase I (ODC1) Inhibitor Screening Kit (Colorimetric) | K176 | BioVision, Inc.
Ornithine decarboxylase (ODC) (EC 3.5.3.1) is a pyridoxal phosphate-dependent enzyme, which cleaves ornithine into putrescine and carbon dioxide. 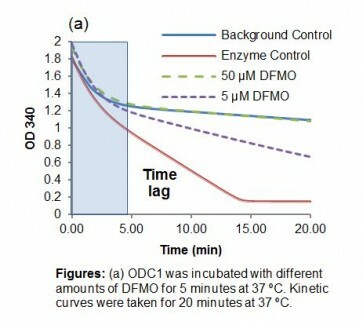 ODC is the initial step in the polyamine synthesis pathway. 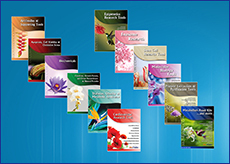 Putrescine, along with the subsequent polyamine products, spermidine and spermine has been shown to promote cell proliferation and arrest cell apoptosis in cancer. It is also known that proto-oncogenes, such as c-Myc can transcriptionally regulate this protein. Ornithine decarboxylase inhibitors, e.g. efluornithine (2-difluromethylornithine), alexidine and their analogs have been studied as ornithine and employed to irreversibly inhibit ODC and thus abolish cell growth by reducing intracellular polyamine that is required for the aforementioned cellular process. 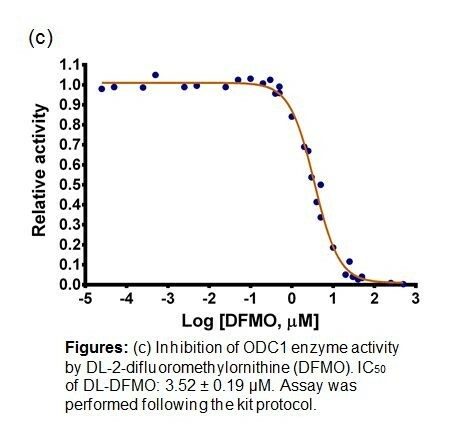 BioVision’s Ornithine Decarboxylase I (ODC1) Inhibitor Screening Kit is designed for screening potential human ODC1 inhibitors. 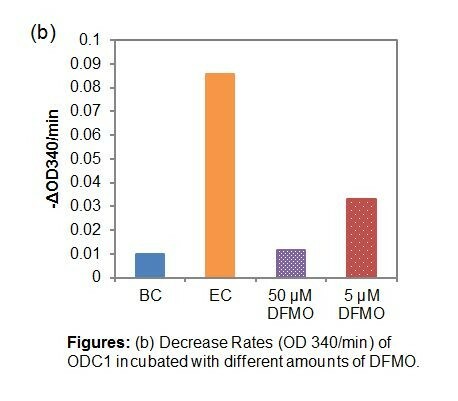 DFMO is provided as an inhibitor control. 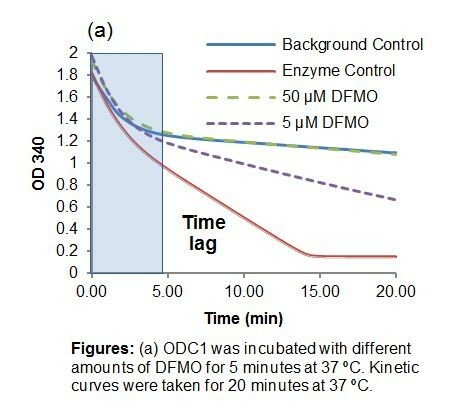 The ODC1 activity is monitored by the decrease in absorbance readings (OD: 340 nm), while potential inhibitors will cause a decrease in the rate of absorbance change. The assay kit is simple, quick and can be used to identify and characterize ODC1 inhibitors in a high-throughput format.